On March 26, 2015, Saudi Arabia announced the formation of an Arab Coalition under its leadership to stop Iran's influence after the Houthi armed group took power in Yemen. The intervention of the coalition had the greatest impact in supporting the national army and popular resistance against the Houthis, who were deployed in most of the country's 21 governorates. The Arab coalition, led by Saudi Arabia, was composed of at least 10 countries. The military campaign was called "The Decisive Storm," at a request from Yemeni President AbdRabbo Mansour Hadi to restore his legitimacy. Less than 30 days later, the name of military operations changed into "Restoring Hope Operation". After four years of intense war inside the country, high numbers of dead and wounded people and destruction of infrastructure, Yemen looks like a hell, humanely, politically and economically. There seems to be no end to the war. With the strategic interests of the Arab coalition, led by Saudi Arabia and the UAE, colliding with the Yemeni interests, can we say that Yemen is about to break up? Or will it remain in the midst of a long-term civil war? The Houthis control most of the northern cities and extend their influence in the center and west of the country, including six northern governorates: Ibb, Dhamar, the capital Sana'a, Amran, Raimah and Mahweet where the population density. The Houthis control also Saada and Hajjah border governorates with Saudi Arabia, with the exception of some border areas through which Saudi Arabia seeks to create safe borders and include a few areas of the districts of Baqim, Qatabir, Razeh, al-Saher in Sa'ada and parts of the districts of Midi, Haradh and Hairan in Hajjah. Hodeidah (except the directorate of Al-Khokha and part of Hayes and the coastal line to the directorate of Durahemi), as well as directorates in Taiz (Maawiya, Khadeer, Al-Azzah and parts of the departments of Al-Selo, Heifan, Makbanah , and the directorate of "Demt" in Dhalei and parts of the directorates of Kabaytah and Makattirah in Lahj. The Houthis control on those areas, even after the coalition's liberation of the southern regions, and the cessation of hostilities on former border between North and South Yemen is a clear indication of regional or international tendency to support the secession. The majority of the liberated southern governorates are effectively controlled by Saudi Arabia and the United Arab Emirates through militias that are not officially linked to the Yemeni state. While Riyadh publishes its forces, not linked to the Arab coalition operations, in Hadramout and Al-Mahra, Abu Dhabi disputes the legitimacy of President Hadi in the interim capital, Aden. The southern governorates such as Dhale, Lahj, Shabwa, Hadramout, Al-Mahara, Abyan and Socotra, are less densely populated but have a large area and huge oil wealth, and the island of Socotra, which has a distinct climate, plants, animals and coasts are rare tourist wealth that made the UAE greedy to take them over. By tracking the performance of the military fronts, we can say that the strategic military operations actually stopped in 2017. The commander of the coalition forces in Yemen Fahd bin Turki Al Saud was able to extract an order from the Yemeni President Abd Rabbo Mansour Hadi considering the decisions of the commander of the coalition forces as military decisions binding the National Army, with the reduction of some powers of the Vice President in this regard. The forces of the legitimacy and popular resistance move with Saudi support on several fronts (Saada, Jouf, Nehm) in an attempt to restore balance on the ground. The battle of Taiz represents the biggest point of confrontation with the Houthis, while other fronts are still open. But it is possible to establish a new division of the fronts according to the interests of the Arab coalition, not the interest of the Yemeni government, which could not achieve a breakthrough even in support of the tribes that have risen against the Houthis since the coalition suspended military operations informally because of the great international pressure that Saudi Arabia faces as the leader of the coalition as well as to pressure on the legitimacy to accept future political solutions. 1) Frontiers of securing Saudi Arabia's borders: This front is not aimed at defeating al-Houthi, but rather creating a safe area on the Yemeni-Saudi border, stopping the Houthi attacks on the Saudi border guards and preventing them from incursions into Saudi territory. This front extends along the border in the governorates of Saada and Hajjah. Although all fronts have become depleted, the Taiz and Al-Bayda fronts are the most depleted fronts. 3) Strategic fronts: Despite the importance of the strategic fronts in achieving a military decisiveness against the Houthis, the Arab coalition uses the fronts just to practice pressure on the Houthis and moves them on whenever it wants. For example, Nehm front that can be moved towards Arhab to control Sana’a International Airport and declare the end of combat operations there, has been suspended, weakened and prevented from moving on. The Jouf front was also not supported to move quickly towards Amran and Sa’ada, where it continued to advance slowly until its fighters were hit by a mistaken raid by the coalition aircraft in March 2019, killing and wounding more than 30 soldiers and officers of the legitimate forces. The uprising of the community within areas under the control of the Houthis could have turned into costly strategic fronts against the Houthis. Hajour, for example, in addition to encouraging tribes to revolt against the Houthis, it could have enabled the National Army from the fifth Military Region in Tihama to reach Amran areas around the capital, Sana’a, to block Saada-Hajjah and Saada-Sana’a roads to make the Houthi collapse militarily. The government forces moved during the first half of 2018 in Hodeidah and the UAE-backed forces cut 70 kilometers along the coastline from Al-Khokha to the outskirts of Hodeidah within days, but those forces stopped at the outskirts of the city without storming or access to the port because of international pressures due to fears that military operations may affect the supply of humanitarian aid to millions of Yemenis passing through the vital port. This front is wide as more than 25000 fighters, distributed in five brigades of the Giants Forces. Their task is to secure the outskirts of Hodeidah, while the sixth and seventh brigades are ready for support and two others brigades are located on the outskirts of the city. In addition, Tihama brigades are located in the countryside of Hodeidah and some areas of Tihama. During the four years of war, tribes moved against the Houthis in areas controlled by the Houthis, including the tribes of "Bani Mawdah" in the directorate of Otmah in 2018, but the Houthis won. At the end of 2018, some tribes of Dhalei and Ibb had supported a military progress by the National Army from Murais to the border of the tourist city of Demt, but they stopped because their ammunition finished and the coalition did not interact with them as an internal front that could turn into a strategic front that can secure Taiz and take over Ibb, one of the largest governorate in Yemen. At the end of January 2019, an armed resistance emerged from inside the Houthi areas in Al-Husha district in Dhalei, after the Houthis had blown up houses of a tribal sheikh loyal to the internationally recognized government. Confrontations in Al-Husha are going on until the date of this report. Tribes support the National Armed forces that are located near the area. The second front was in the areas of strong tribes of Hajour. The confrontations were focused in "Koshar" in the northern governorate of Hajjah. The tribes resisted there for more than 50 days. The Houthis was worried about a possible government attack from the positions of the National Army in north and west of Hajjah, from the port of Midi and the city of Harad, in conjunction with progress being made from the east, in the triangle of "Ahem." The Houthis have always wanted to take control of the Koshar area as it is surrounded by mountains and fortified by the terrains. It seems to be clear that the Houthis, while the government forces were approaching from the region, have violated an agreement with the tribes on a truce between them and the Houthis in 2012. The agreement stipulates that the Houthis do not use the tribes’ lands for operations. But recently, the Houthis met with the leaders of Kushar tribes and asked for spreading Houthi elements, tanks and artillery on mountains surrounding Kushar, but the tribesmen rejected the Houthi request. The Houthis were deployed on mountains by force, so the clashes with tribesmen broke out. The Houthis mobilized gunmen from other tribes in Sana'a, Amran, Dhamar and Mahweet to fight in Hajour. Abdulmalik al-Houthi met with tribal leaders, most of them loyal to the group, as clashes intensified, and signed a "tribal" document that disavowed the "Hajour" tribes which resisted them. The Yemeni government and the Arab coalition supported the tribes with weapons and ammunition, but that was not sufficient. The government forces nearby did not move to lift the siege imposed by the Houthis on "Koshar." Koshar has a population of 114,000 people, more than a third of them were displaced due to the fighting. In February 2019, the Yemeni president pushed seven military battalions to lift the siege on Hajour, while calling on the tribes to push their sons into the National Army to lift the siege and form a military brigade in the region. But the Houthis were faster than the government. On March 7, 2019, the Houthis declared control of the area, after the group penetrated into the strategic "Abyssa" area, although popular resistance continued in other villages. The Houthis managed to reach the homes of leaders of the resistance and blew them up. They also kidnapped children and killed those leaders. • The Houthis used excessive force to attack tribesmen, where the group was keen to show its hegemony, to impose its control over the area it had not entered since 2012, in a clear message to tribal leaders that the fate of any movement against their control and power would be similar to what happened to the tribes of Hajour. • The Houthis seem to be moving to the stage of imposing the de facto authority and presenting themselves to the international community, which sponsors the political process, as one force imposing its decision in areas under their control, in contrary to the liberated regions, which are disputed by local and regional parties. • Tribal movement in Hajour revealed that the government and the Arab coalition did not have a clear vision to support any tribal uprising in the Houthi control areas. They remained disoriented for weeks before announcing their support to tribesmen. The National Army remained in its barracks without moving to open and secure the supply lines, despite the strategic importance of the region in the battle to liberate "Hajjah" and "Saada". • Contrary to what the Houthis might think that what happened in Hajour would frighten the tribes and their leaders, the breaking of agreements and truces with the tribal sheikhs, who offered neutrality in exchange for the Houthis should not enter their areas will push the original tribal leaders  to unite and explore new ways to fight the group without relying on the Arab coalition or the government in future. The Houthis turned to power in September 2014 - a rebel armed militia that fought six wars against the government from 2004 to 2010. It seized weapons from the army and established state-run apparatuses, although they also controlled key organs, changed officials and imposed observers in each government institution. The Houthis developed their weapons during the years-long war and the development reached to the highest level, in addition to a larger and larger range ballistic missiles and drones, making the Arabian Peninsula under threat. Drones: In February 2017, the Houthis revealed that they had drones to carry out combat, reconnaissance, surveying, assessment and early warning missions. The aircraft manufactured a model called Hudhud 1, Al-Raqib, Rasd, Qasif 1. The most important tasks are technical and combat, including the role of artillery correction, monitoring and locating the gathering of the target forces and sending coordinates for what they call "missiles unit, artillery force and the force of support and evaluation." In 2018, the Houthis announced a type of unmanned aircrafts (Sumad 2, Sumad 3, Qasef- K2). As the Houthis declared a "special unit" for military manufacturing and ballistic missile development, they announced another unit for the so-called "Drone Air Force." The unit is responsible for drone operations carried out by the Houthis. But the Houthi most dangerous drones are the suicide drones (Sumad and Qasef), which are different in terms of range. Over the past few years, it was clear the mission of this kind of aircrafts which are similar to Iran-made unmanned aircrafts, and at least one aircraft had a serial number with similar aircrafts that Iran provided to the Iraqi popular militias. Ballistic Missiles: Despite the marine embargo on the Houthis and the complicated access of weapons to the group, the group managed to obtain ballistic missiles, either from Iran as parts, fragmented and installed in Yemen, or by using the Iranian technology to develop missiles that the group confiscated from the former Yemeni army. At the end of 2015, the Houthis developed Russian ballistic missiles to reach a far range with huge explosive capacity, targeting Saudi border towns with Yemen and in internal battles to be developed at the end of the fourth year of the war to possibly reach Riyadh, Abu Dhabi and Dubai. The most prominent of these missiles announced by the Houthis are "Qahir-1, Qahir-M2, Zilzal-3, Burkan-1, Burkan- H2, mobile winged cruise missile, smart missiles (land-sea)." The continuation of war with the loss of hopes for its cessation has led to the multiplicity of local and regional actors. The main objectives of Saudi Arabia and the UAE - the two countries leading the coalition at the present time - have sub-goals, not including the full support of the legitimate government in winning the battle with the Houthis. This situation has led to many crises related to the legitimate government. In contrast, the Houthis have continued to build political legitimacy over the past year after the group killed its ally Ali Abdullah Saleh (the late Yemeni president and president of the General People's Congress party). The legitimacy based on the election of Yemeni President AbdRabbo Mansour Hadi as the country's consensus president in February 2012, and the Arab coalition takes the legitimacy of its presence in Yemen from the legitimacy of president Hadi, whom the Security Council resolution (2216) stipulates that he is the legitimate president of the country and his legitimacy must be restored. • The legitimacy recognition: The Houthis do not recognize Hadi as president, and the remnants of loyalists to former president Ali Abdullah Saleh agree with them. Although they have become opponents to the Houthis and are fighting against them, "Saleh family" and those who are loyal to it, do not recognize the legitimacy of Hadi or his government. The so-called South Transitional Council, established with support from the UAE, considers itself as a parallel authority to the Hadi government in the liberated southern governorates. Since the establishment of the Council in 2017, there have been military battles and tensions between the two parties [Hadi forces and the Southern Transitional Council militants] to control the capital Aden, which implies that the Arab coalition does not want President Hadi and the legitimacy to be stable before the war ends and the coalition achieves its goals in Yemen. • The presence of the legitimacy outside the country: The Yemeni president has not been in the country since the beginning of the war, just in very rare cases. He remains at his residence in Riyadh as well as the rest of members of the government amid accusations that Hadi is under home arrest in Riyadh as he is not allowed to return to Yemen. This viewpoint is based on the fact that the Arab coalition enabled militias to control the liberated southern cities, especially the interim capital, Aden. • Government reshuffle: Hadi changed his government three times, first by removing Khalid Bahah from the position of prime minister and vice president in 2016, and the appointment of Ahmed Obaid bin Daghr as prime minister and Ali Mohsen Saleh al-Ahmar as vice president. Then Hadi removed bin Daghr from the premiership and appointed Moeen Abdulmalik as prime minister in October 2018. These changes allowed the president total control over the government without the real involvement of other political parties, as the Gulf initiative states. • The security control: The Yemeni government does not have full control over all military forces. There are factions, including "elite" forces and "security belts" in the liberated governorates, which receive orders from the UAE military leadership. They operate secretly and publicly private prisons under the UAE supervision. In addition to the UAE-affiliated Abu al-Abbas in Taiz and Saudi military forces in Mahrah. The Houthi group continued to take power with a marginal image of the remnants of Saleh's followers in an internationally unrecognized government for three years since the coalition intervened in Yemen. • The Preventive Security: The group has a so-called preventive security, but refuses to recognize its existence. It is a supreme authority over the rest of security and intelligence services. It is interested in monitoring the members and loyalists of the group. • The Political cover: The group manipulated the remnants of the General Congress Party, who were loyal to Saleh, and appointed Sadiq Amin Abu Ras as the GPC’s leader to perform as an ally of the international community so that the group can re-acquire a political cover, but the group failed- to a certain extent – to get the sympathy of GPC members after the Houthis killed Saleh. • Honor Agreements to subjugate the tribes: the Houthi group benefited from the experience of members of Saleh's party in power, and the failure of the legitimate government to manage the liberated areas, to present itself as a de facto authority. But the group faces a very big dilemma. In many tribal areas, the Houthi group cannot enter or enforce its presence because of previous pledges of neutrality in exchange for the Houthis not intervene in their areas. It seems that the group is suffering as the government forces approach Sana'a, Hajja and Amran, so they pushed the so-called "tribal honor" charter and appointed new chieftains for their tribes in preparation for targeting and overthrowing the main tribal leaders. • The search for legitimacy: In addition to the Houthi continued appointments in the so-called Shura Council - the second legislative chamber, the group announced procedures for carrying out parliamentary elections to fill in vacant seats in the House of Representatives in areas under its control after amending the Supreme Committee for Elections. As the war continues, many local actors appeared, relying on the war economy. They are obstacles to any possible peace agreement in Yemen. • The Southern Transitional Council: Contrary to what is envisaged, the Southern Transitional Council, which was founded in May 2017, does not represent the separatist movement, although it presents itself as the holder of this project. But other southern parties, which that see separation as a solution or prefer the federal state of six regions or the federal state of two regions, consider the STC as an enemy that does not represent the southern governorates. The council does not enjoy a local or regional welcome, and the Saudi media usually report that it [STC] undermines peace in the country. Most of the council’s leadership lives in Abu Dhabi. • Security belts and elite forces: The Southern Transitional Council presents itself as a de facto authority in the southern cities, depending on the security forces and the elite forces which are funded, trained and adopted by the United Arab Emirates. The number of these forces in the liberated southern cities is more than 60,000. Abu Dhabi claims that these forces were formed to combat terrorism, but it is clear that the UAE is using the anti-terrorism slogan as a cover to achieve its own interests in Yemen. • Saleh/GPC: The General People’s Congress party was torn apart with the beginning of conflict between Saleh and Hadi. After Saleh's death, the GPC was torn apart for the second time when those who joined Saleh ran into three tracks. The first joined the Houthis and remained in Sana’a. The second returned to the legitimate government and engaged in the Hadi-led GPC. The third keeps loyalty to the family of Saleh, some of them fight in the West Coast front against the Houthis within the "forces of Tariq Saleh," nephew of Saleh, and others distributed between Abu Dhabi, Cairo and Riyadh. Saleh's family does not recognize the legitimacy of President Abd Rabbo Mansour Hadi, and the family and its supporters continue to present the son of Saleh (Ahmed Ali Abdullah Saleh), who lives in Abu Dhabi, as a successor to his father in the General People’s Congress Party leadership. Abu Dhabi is pushing for these options, but Ahmed Ali is subject to sanctions under the Security Council resolution 2216 over assisting the Houthis in the invasion of Sana'a in 2014 and obstructing the political process and the transitional period that the country was living in (2012-2014). So his appearance will be considered as a clear enmity without any benefit. In contrast to the movements by the Houthis to overthrow Saleh to avoid the fragility of their internal front, and the acquisition of Saleh's share of any political agreements on the path of the peace process, the differences within the Saudi-led Arab coalition increase, whether with other countries that have been involved in the coalition from the beginning or with the local parties that used to support the coalition. • Withdrawals: During the four-year war, some member states withdrew from the Arab coalition. After Qatar was expelled from the coalition due to the Gulf crisis in mid-2017, Moroccan troops and planes withdrew due to another diplomatic crisis between Rabat and Riyadh. Malaysia withdrew its forces from the Saudi border with the arrival of a new government led by Mahathir Mohamed, accusing Saudi Arabia of diverting assistance, which Saudi had provided to former Malaysian government in return for its participation in the war in Yemen, to loans. Pakistan, despite its good relationship with Riyadh, the constraints by the Parliament, pressure from the street, and the new balances in the region made it withdraw a simple number of troops from Saudi borders - it is said that those troops were in border just for training. Sudan, the country which has been in turmoil since the beginning of this year, may withdraw its troops under pressure from parties and parliamentarians. • Clash of influence: Yemen is strategically located on the Arabian Sea, the Red Sea and the Horn of Africa. So Abu Dhabi and Riyadh are racing to stay long in vital locations. In 2018, Abu Dhabi continued its military base in Mokha of Taiz, located in Socotra, Aden and Shabwa, expanded the construction of a military base in Mukalla of Hadramout, controlling the decision who should enter Yemen and who should not. At the same time, Riyadh struggles to maintain its military base in Mahrah and it is located in Wadi Hadramout, where the UAE is trying to expand. Abu Dhabi uses its tools in Yemen to threaten Saudi influence, sometimes by invasions and sometimes via uprising from within. Saudi Arabia is pushing the Yemeni government to be anger and impose latent threat against Abu Dhabi influence. The neighboring Sultanate of Oman, which has influence in the Mahrah and Hadramout Valley, has been stirring up tribes against Saudi Arabia and the UAE. Oman has been reassured by Britain after London had entered as a new player in the Yemeni crisis, taking advantage of its citizen Griffith, the UN Envoy to Yemen. Saudi Arabia and the UAE in Yemen are under constant international pressure to stop the war, which eventually led to the cessation of battles to liberate Hodeidah. In October 2018, after Griffith's meetings with US Secretary of State Mike Pompeo and then US Secretary of Defense James Matisse, the two men called for an end to the fighting. British Foreign Secretary Jeremy Hunt has moved in shuttle tours to support Griffith's plans in Yemen, including Abu Dhabi, Riyadh, Tehran and Oman, in repeated visits to the region. • Houthis stop firing rockets and aircraft on Saudi Arabia and the UAE, after which the coalition will have to stop air strikes targeting Houthis in residential areas. • Withdrawing heavy weapons such as ballistic missiles from Yemen "No one will invade Yemen," Matisse said. • Autonomous Region of the Houthis in northern Yemen "in order to be empowered, give up Iran and get their voice heard." The US Congress constantly presses to stop the war in Yemen, and claims have increased among US lawmakers following the killing of Saudi journalist Jamal Khashoggi at his country's embassy in Istanbul (October 2018). In March 2019, the Senate voted on a draft resolution to stop Washington's support for Saudi Arabia and the UAE in Yemen, and the resolution that would go to the House of Representatives, is expected to be approved by Democrats. Trump faces this decision and is expected to use his first veto against the Congress decision. EU countries also demand the halt to war by stopping arms exports to Saudi Arabia and the UAE, including Germany and Norway. 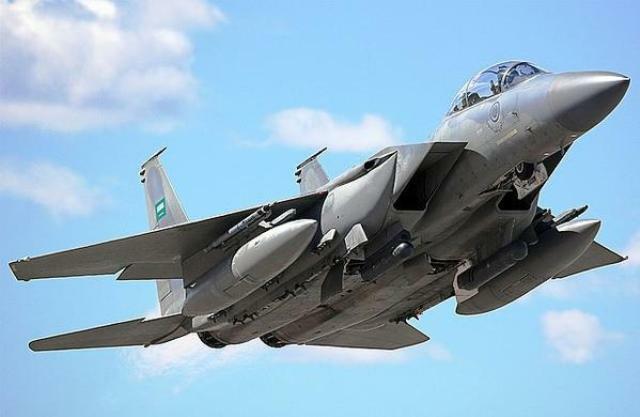 • Counterterrorism: The United States launched 36 air strikes on the positions of both the Islamic State Organization and al-Qaeda in Yemen in 2018. Although this number of raids is much lower than the statistics of 2016 and 2017, several civilians were also killed. The confrontations between the two organizations broke out in al-Bayda governorate. The Abaad Center has registered more than ten clashes between the two organizations in July 2018 and February 2019. The UAE presents itself as a central counterterrorism state in Yemen. It has made progress in kicking out the armed organizations from the cities, but its tools have created suitable environment for future strong and cohesive organizations, which possess quality weapons. Amnesty International and CCN ,  published two reports on “the last user of US weapons” as that weapons fell in the hands of al-Qaeda and possibly the organization of the Islamic State as well as the Iranian intelligence through the Houthis. Saudi Arabia and the UAE distributed arms to tribesmen and fighters loyal to them, so eventually the weapons might be sold to dangerous organizations or the Saudi-UAE-affiliated militants joined such organizations. This approach of arms delivery contradicts with arms sales deals between the United States and the UAE and Saudi Arabia, which could prompt Washington to impose sanctions against them as that violation enables terrorist organizations to reveal the US weapons technology and share it to target the US. In addition, the UAE uses the pretext of combating terrorism as a cover to expand its influence in the southern cities which are rich with oil and gas while it avoids the incursion into the areas where the two organizations exist. In early 2018, Martin Griffith replaced Mr. Ismael Ould Cheikh Ahmed as a UN envoy in the country. Griffith, a British national, has relied on his ties to the Yemeni parties since 2017, when he led sideline efforts in favor of the EU as president of the EU Peace Institute. He has formed working groups from all parties, researchers, politicians and social figures to form a vision of what was coming up regarding the Yemeni issue. But in September 2018, Griffith faced first obstacle when the Houthis rejected to come to Geneva. After the Houthis' requests, including the transfer of wounded Houthi militants abroad for treatment - as we mentioned - and guarantees of a safe return to Yemen, Griffith was able to prepare for the Stockholm talks, after consultations were suspended for two years. Griffith received support from the international community - Britain, the United States, Russia and other countries - to initiate consultations. Griffith used international pressure on Saudi regarding the issue journalist Khashoggi's death to make progress in his vision for peace. As usual, the UN faced the same permanent impasse that obstructs the making of a permanent peace agreement, that is which one should be first, the security file or the political file? The legitimate government demands the commitment with the three references, “the GCC Initiative, the outcomes of the National Dialogue Conference and the UN resolutions,” especially the resolution 2216 . Under an international pressure in the Geneva 1 consultations in 2015, the Houthis agreed to recognize the UN resolution 2216, which calls on the Houthis to withdraw from the cities and to hand over weapons that were looted from the Yemeni army caches to the Yemeni legitimate government. But later, the Houthis refused and said that should be decided in accordance with the situation on the ground. The first is the agreement of prisoners and detainees under the auspices of the Red Cross, which included the release of all prisoners and detainees from both sides. The lists, handed over to the parties, have included 16000 names to be released or to reveal their fate. The second is understandings about Taiz. The understandings are related to the opening of the crossings to the city for relief aid and passengers movement. The city has 600,000 people who live under the Houthi blockade since 2015. The United Nations had reached an agreement on consultations in January 2019. But the lack of progress in previous agreements eventually led to the postponement of consultations indefinitely. A) Gaps: Some paragraphs of the agreement have many gaps, they are not clear enough to compel the two parties and open the door to the government and the Houthi interpretations. The United Nations needs to explain this clearly, not to build hopes on a fragile agreement. B) Stabilization of the ceasefire: This is another threat to the agreement. Without a cease-fire and the start of a truce monitoring team, the war in Hodeidah may be resumed. C) Redeployment: Although the location of the redeployment of troops will be a growing argument from both sides. The redeployment that maybe allow the return of clashes near the city of Hodeidah will make the agreement a cause of a new war that may be more violent than before. Who should handle the affairs of Hodeidah port is another obstacle as the Houthis will not leave the vital city. D) Economic Committee: As agreed, revenues from ports will go to the Central Bank of Hodeidah. The agreement therefore requires a rapid mechanism for managing the economy and paying salaries to employees. Although the Houthis ignored these meetings and did not comment on them, Gabri Ansari said that these meetings were requested by the armed Houthi group. Iran and the EU say that Tehran has a role in pressuring the Houthis to agree, so that the nuclear agreement with the European Union will continue. "This is the benefit of the continuation of the Iranian nuclear agreement: the result of the dialogue we have had with Iran on regional issues," said EU official Fredica Mugreni. Its influence on the Houthis to start discussions in Sweden, under the auspices of the United Nations - something we insisted on and strongly supported. 1) Iran: Iran seeks to have powerful allies in northern Yemen, near the border with Saudi Arabia, whether in the form of autonomy or military control, with political participation or full authority in the north, to ensure the transfer of the battle to the south and east of Saudi Arabia in the future. It also seeks to penetrate the southern Yemen and be present near Bab al-Mandab through its former allies and southern groups that were trained in Lebanon after 2011 - now under the supervision of Abu Dhabi - to complete its threat to close the water straits (Strait of Hormuz and Strait of Bab al-Mandab). 2) Saudi Arabia: After four years of war, the kingdom seeks to engage in dialogue with the Houthis after weakening them or ensuring their subjugation to it and keeping them away from Iran to secure its southern borders. It also seeks to obtain a sea port on the open seas away from Iran's threats to close the Straits of Hormuz to be able to export its oil more comfortably. So it needs to build an oil port on the Arabian Sea, which made it intensify its military presence in Mahrah and Hadramout, especially after the transformation of Khrakhir province in the south of the Kingdom into a store of oil. Saudi also seeks to be more dominant to any coming authority in Yemen and to prevent any Iranian influence in its back. 3) Emirates: The UAE seeks to control Yemeni ports, especially the port of Aden, to ensure that Jebel Ali port is not affected or to obtain available alternatives in the event of developments due to China's plan to re-activate the Silk Line as that may affect the UAE ports. The Red Sea is important for the UAE, which is trying to build military bases on the eastern bank of the Red Sea. Through the current war in Yemen, Abu Dhabi also seeks to be a country that has witnessed a popular revolution in the Arab Spring revolutions that Abu Dhabi hastened to counter under the pretext that the revolutions were led by the political Islam. The UAE wants to be the first regional military force to present itself to the international community as a true counterterrorism partner in the region. 4) Britain: Britain has moved with all its weight in the Yemeni file and expressed an unprecedented interest. Although its public policy is with a unified Yemen and it supports the Saudi Arabia, the UK moves in the southern Yemen in a suspicious manner, as special information speaks of a British tendency to unite the factions in the south. This has created doubts that UK maybe supports the secession of the south. Britain also sponsored a dialogue between the Saudi and the Houthis, and another dialogue between the Houthis and the Southern Transitional Council in the Omani capital of Muscat. Britain is also interested in its ally Oman and has recently conducted military exercises with it in the context of Omani concern about the Saudi-UAE presence on its borders, trying to balance between reassuring its ally, Oman, and not to raise fears of its biggest ally, Saudi Arabia. 5) United States: Washington seems to realize the importance of supporting its ally, Riyadh, especially in the light of the need of US President Donald Trump for Saudi Arabia to bridge some economic gaps in US, buy arms, achieve peace with the "Israeli occupation" and pressure on Iran, which makes the war in Yemen of a particular importance for the Americans. Trump may see that Yemen is the right place for discipline against Iran, but that may push major countries to intervene, such as Russia and China, resulting in more complications in the Yemeni scene and making it similar to the Syrian scene. This scenario is highly probable, especially with the conflicting objectives of regional and international actors and the contradictory objectives of the Decisive Storm with the strategic interests that Riyadh and Abu Dhabi want to achieve in Yemen. Yemen may be divided, as it was before, into two states: the southern Yemen to be governed by the Southern Transitional Council, and the northern Yemen to be governed by the Houthis, or into more than three states to ensure that the groups, which are seeking separation and division, can guarantee the regional and international interests. This scenario is sought by regional and sectarian groups such as separatists in the south and Houthis in the north to ensure their control. This scenario is a medium-probability one, based on the failure of the first and third scenarios. This scenario is being pursued by terrorist groups because chaos gives them an opportunity to expand and control. The Arab coalition ridiculous management of the war in Yemen may easily lead to the collapse of the legal system and its supporters on the ground, resulting in more chaotic phase that will affect the national security of Yemen and the Gulf. The possibility of this scenario is weak or ruled out as Saudi Arabia and the UAE are unwilling to achieve this under the current leadership of the legitimacy. They quietly seek to transfer the authorities to reliable allies from outside the alliance between Hadi and the political parties, led by the Yemeni Islah party. For Saudi Arabia, the dismantling of the old system of governance in Yemen means the ability to control Yemen in the future. However, this option remains available only in one case: taking a national decision on a military decisiveness on the ground to exempt any party in the Arab coalition that does not agree with the military decisiveness and ending its missions in Yemen. Can Stockholm agreement between government and Houthis survive? Read Abaad Center’s study, “Does the Gulf want to win against Iran or have own interests in Yemen?